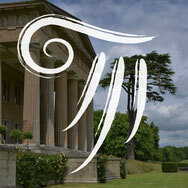 Following his debut at the Grange Festival with Verdi’s Requiem in 2017, Francesco Cilluffo will conduct Verdi’s Falstaff with the Bournemouth Symphony Orchestra, in a new production by Christopher Luscombe. In February-March 2019 Francesco Cilluffo conducted Verdi’s Falstaff for the Fondazione Rete Lirica delle Marche in Fano, Ascoli Piceno, Fermo e Chieti, a production directed by Roberto Catalano. In November-December 2018 Francesco Cilluffo returned to the OperaLombardia circuit (AsLiCo) and to Bolzano to conduct a double bill of Mascagni’s Cavalleria rusticana and Poulenc’s La voix humaine (starring Anna Caterina Antonacci) in the acclaimed production by Emma Dante. In October-November 2018, for his third engagement at the Wexford Festival Opera, Francesco Cilluffo conducted a double bill of two rare verismo operas: Umberto Giordano’s Mala vita (1892) and Franco Leoni’s L'Oracolo (1905), in a new production by Rodula Gaitanou. 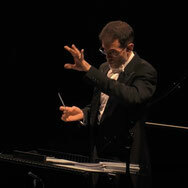 As a distinguished alumnus of the Conservatoire in Turin, in September 2018 Francesco Cilluffo has been invited to conduct a symphonic program featuring music by Ravel, Casella and Fauré with the Orchestras of the Turin and Milan Conservatoires, which joined forces for this particular project. 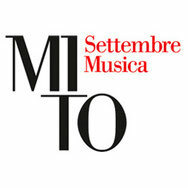 The concerts took place in Milan and Turin for the MiTo Festival. In July 2018 Francesco Cilluffo made his London conducting debut with a new production of Mascagni’s Isabeau at the Opera Holland Park, with Anne-Sophie Duprels in the title role and the direction of Martin-Lloyd Evans. In April 2018 Francesco Cilluffo made his French debut conducting Rossini’s L'Italiana in Algeri at the Opéra de Toulon in the production by Nicola Berloffa. In February 2018, Francesco Cilluffo returned to the Teatro Carlo Felice in Genoa to conduct the world premiere of Marco Tutino’s Miseria e Nobiltà. 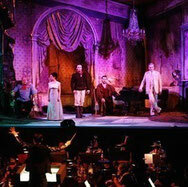 Tutino’s first ever comic opera, Miseria e Nobiltà (Misery and Nobility) is loosely based on the famous play by Neapolitan playwright Eduardo Scarpetta (also a world famous movie featuring Sophia Loren and Totò). 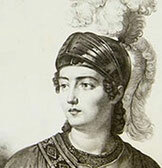 The new production was directed by Rosetta Cucchi. 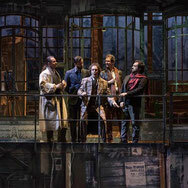 After his success with L’Elisir d’amore, Roméo et Juliette, Rigoletto and Madama Butterfly, in November-December 2017 Francesco Cilluffo retured to Tel Aviv to open the season of the New Israeli Opera with Puccini’s La Bohème, directed by Stefano Mazzonis di Pralafera. In October-November 2017 Francesco Cilluffo returned to the Wexford Festival Opera (two years after leading the award-winning production of Mascagni’s Guglielmo Ratcliff) and scored another triumph conducting Alfano’s Risurrezione, directed by Rosetta Cucchi. In June 2017 Francesco Cilluffo made his debut with the first Grange Festival conducting Verdi’s Requiem with the Bournemouth Symphony Orchestra and Chorus and a stellar cast. In May 2017 Francesco Cilluffo made his successful American conducting debut with Puccini’s Tosca at the Tulsa Opera in Tulsa (Oklahoma, USA) in the historic production by Jean-Pierre Ponnelle. In January 2017, Francesco Cilluffo made his debut with the Bremer Philharmoniker conducting two concerts featuring an all-Italian symphonic program. Francesco Cilluffo returned to the OperaLombardia circuit (AsLiCo) to conduct Britten’s A Midsummer Night’s Dream in a new production by Elio De Capitani and Ferdinando Bruni. 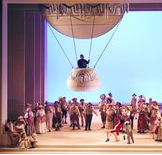 The show received unanimous praise from the public and from the press, touring the theaters in Cremona, Como, Pavia, Brescia and Reggio Emilia. In September 2016 Francesco Cilluffo conducted a new production of Puccini’s Madama Butterfly with the New Israeli Opera for the annual open air event at the Ha'Yarkon Park in Tel Aviv, attended by more than 30,000 people. 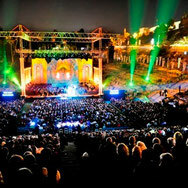 After his successes with L’Elisir d’amore and Roméo et Juliette, in June 2016 Francesco Cilluffo conducted Verdi’s Rigoletto with the New Israeli Opera and the Jerusalem Symphony Orchestra for the Jerusalem Opera Festival at the Sultan’s Pool in Jerusalem. In May 2016 Francesco Cilluffo made his Belgian debut conducting Verdi’s La Traviata at the Opéra Royal de Wallonie in Liège, in the production by Stefano Mazzonis di Pralafera. 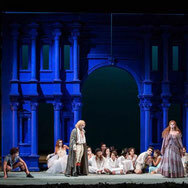 After his acclaimed Elisir, Francesco Cilluffo’s return to the New Israeli Opera in April 2016 for Gounod’s Roméo et Juliette in the production by Jean-Louis Grinda was another success. 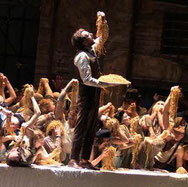 After successfully conducting Il Campiello, Francesco Cilluffo returned at the Opera di Firenze-Maggio Musicale Fiorentino for the revival of Le braci by Marco Tutino, in the production by Leo Muscato. Francesco Cilluffo earned unanimous press and audience praise for his conducting of Mascagni’s Guglielmo Ratcliff at the 64th Wexford Festival Opera, directed by Fabio Ceresa. Francesco Cilluffo made his German conducting debut in August 2015 with Verdi’s Nabucco at the Kiel Opera House. 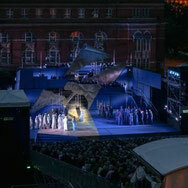 The new open air production was directed by Olaf Strieb. Francesco Cilluffo opened the 41st Festival della Valle d'Itria in Martina Franca conducting the world premiere of Marco Tutino’s Le braci (Embers - after Sándor Márai’s novel) in a new production directed by Leo Muscato. Francesco Cilluffo made his Israeli debut conducting L’Elisir d’amore with the New Israeli Opera and the Jerusalem Symphony Orchestra in the famous production by Omri Nitzan. 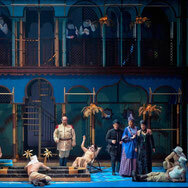 The opera was part of the Jerusalem Opera Festival at the Sultan’s Pool in Jerusalem. In April 2015 Francesco Cilluffo made his debut at the Teatro Verdi in Trieste conducting Wolf-Ferrari’s Il Campiello, a revival of the successful production by Leo Muscato which opened the 2014-2015 season of the new Opera di Firenze. After his successes in 2014, in March 2015 Francesco Cilluffo returned to Parma to open the opera season of the Teatro Regio di Parma with Donizetti’s L’elisir d’amore. He conducted the same production at the Teatro Comunale Luciano Pavarotti in Modena, also with the Orchestra Regionale dell’Emilia Romagna «Arturo Toscanini». 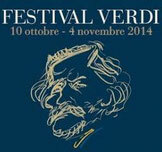 On October 18th 2014 Francesco Cilluffo earned a great success conducting a Verdi Gala at the Teatro Regio in Parma as part of the Verdi Festival, featuring the singers of the 52nd Concorso Internazionale Voci Verdiane «Città di Busseto». In June 2014 Francesco Cilluffo made his debut at the Teatro Carlo Felice in Genoa conducting Rossini’s Il barbiere di Siviglia in the acclaimed production by Filippo Crivelli. The premiere was broadcasted in live streaming, reaching an audience of over 8,000 worldwide. In February-March 2014 Francesco Cilluffo conducted a new production of Rossini’s La Cambiale di Matrimonio at the Teatro Regio in Parma and at the Teatro Valli in Reggio Emilia (where the show was introduced by Alessandro Baricco). 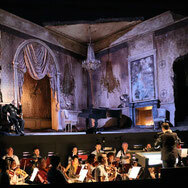 In November-December 2013 Francesco Cilluffo conducted a new production of Rossini’s Tancredi for the Circuito Lirico Lombardo, featuring the Orchestra I Pomeriggi Musicali. 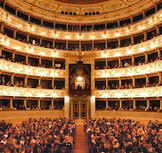 The production opened at the Teatro Fraschini in Pavia and touched the Teatro Ponchielli in Cremona, the Teatro Sociale in Como and the Teatro Grande in Brescia. 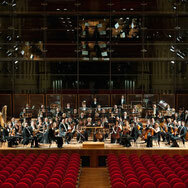 In the framework of his 3-year-long collaboration with the Orchestra Filarmonica di Torino, in December 2013 Francesco Cilluffo conducted Shostakovich’s Symphony no. 14 in the rarely performed multilingual version, with Claudia Barainsky (soprano) and Arttu Kataja (bass). 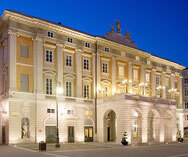 In October 2013 Francesco Cilluffo conducted Pietro Mascagni’s Cavalleria rusticana at the Nuovo Teatro Comunale in Sassari, as part of the 2013 season of the Ente Concerti M. De Carolis. 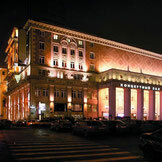 On October 10th 2013 (the 200th birth anniversary of Giuseppe Verdi), Francesco Cilluffo conducted a Verdi Gala in Tchaikovsky Concert Hall in Moscow, with the soloists and the orchestra of Theater of the Galina Vishnevskaya Opera Centre. 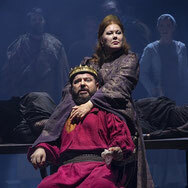 The program featured arias, choruses and symphonic pieces from Nabucco, Trovatore, Don Carlo, Macbeth, Otello and Aida. 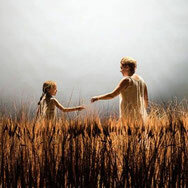 In September 2013, Francesco Cilluffo opened the opera season of the Teatro Pergolesi in Jesi conducting Francesco Cilea’s L’Arlesiana (production from the Wexford Opera Festival). 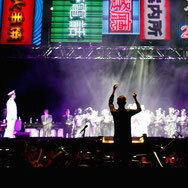 The show has been released worldwide as CD, DVD and Blu-Ray by Dynamic. 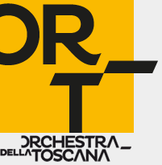 In July 2013 Francesco Cilluffo conducted the ORT-Orchestra della Toscana in the Opening Concerts of the 25th Incontri in Terra di Siena Festival and of the 14th Santa Fiora in Musica Festival. 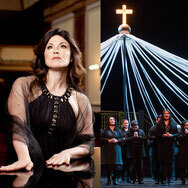 The programme featured works by Wagner, Verdi and Prokofiev and Cinzia Forte as soprano soloist. 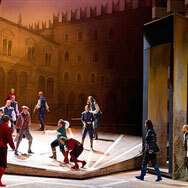 Between January and July 2013 Francesco Cilluffo conducted a new production of Giuseppe Verdi’s Il Trovatore for the AsLiCo (Associazione Lirica e Concertistica Italiana). 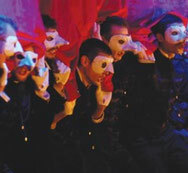 The production toured Lombardy’s historical theatres, earning great success. 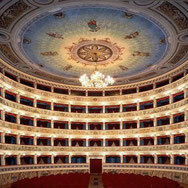 It has been revived also in Milan (Teatro Nuovo) and in Como (Festival Como Città della Musica). 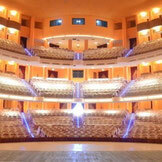 In June 2013 Francesco Cilluffo conducted a tour of symphonic concerts with the Orchestra del Teatro Lirico di Cagliari, touching several towns in Sardinia. The program included music by Mozart and Rossini. 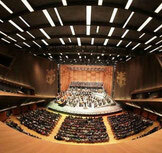 In December 2012 Francesco Cilluffo conducted the second of a series of concerts with the Orchestra Filarmonica di Torino, focusing on vocal and orchestral music. 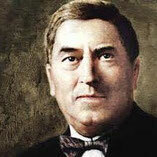 The concert featured Duruflé’s Requiem op. 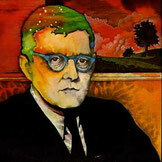 9 and works by Mahler and Puccini. In May 2012 Francesco Cilluffo made his debut at the Teatro Massimo in Palermo, stepping to the podium for the final performance of Zemlinsky’s Der König Kandaules, after having worked as assistant conductor to M° Asher Fisch for the previous performances. 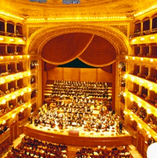 In July 2011 Francesco Cilluffo conducted Mahler’s Das Lied von der Erde at the Festival della Valle d'Itria in Martina Franca. 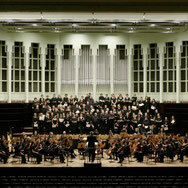 The Turin première of Mozart’s Requiem (Levin’s revision) was one of the highlights of the 2010-2011 season of the Orchestra Filarmonica di Torino. 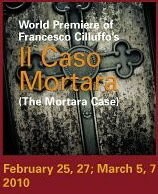 In February-March 2010 Il caso Mortara by Francesco Cilluffo had its world premiere in New York. 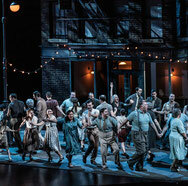 It was the first Italian opera commissioned by a New York opera company from an Italian composer since Puccini’s La fanciulla del West.